"Radar imaging has shown that about 15 percent of near-Earth asteroids larger than 600 feet [about 180 meters], including 1999 JD6, have this sort of lobed, peanut shape," said Lance Benner of NASA's Jet Propulsion Laboratory in Pasadena, California, who leads NASA's asteroid radar research program. To obtain the views, researchers paired NASA's 230-foot-wide (70-meter) Deep Space Network antenna at Goldstone, California, with the 330-foot (100-meter) National Science Foundation Green Bank Telescope in West Virginia. Using this approach, the Goldstone antenna beams a radar signal at an asteroid and Green Bank receives the reflections. The technique, referred to as a bistatic observation, dramatically improves the amount of detail that can be seen in radar images. The new views obtained with the technique show features as small as about 25 feet (7.5 meters) wide. The individual images used in the movie were generated from data collected on July 25. They show the asteroid is highly elongated, with a length of approximately 1.2 miles (2 kilometers) on its long axis. The movie spans a period of about seven hours, 40 minutes. This week's flyby was the closest approach the asteroid will make to Earth for about the next 40 years. The next time it will approach Earth this closely is in 2054, at approximately the same distance of this week's flyby. Data from the new observations will be particularly useful to Sean Marshall, a graduate student at Cornell University in Ithaca, New York, whose doctoral research on 1999 JD6 is funded by NASA's Near-Earth Object Program. "I'm interested in this particular asteroid because estimates of its size from previous observations, at infrared wavelengths, have not agreed. The radar data will allow us to conclusively resolve the mystery of its size to better understand this interesting little world," he said. Despite the uncertainty about its size, asteroid 1999 JD6 has been studied extensively and many of its physical properties, as well as its trajectory, are well known. It rotates in just over seven-and-a-half hours and is thought to be a relatively dark object. Asteroid 1999 JD6 was discovered on May 12, 1999, by the Lowell Observatory Near-Earth-Object Search, located in Flagstaff, Arizona. 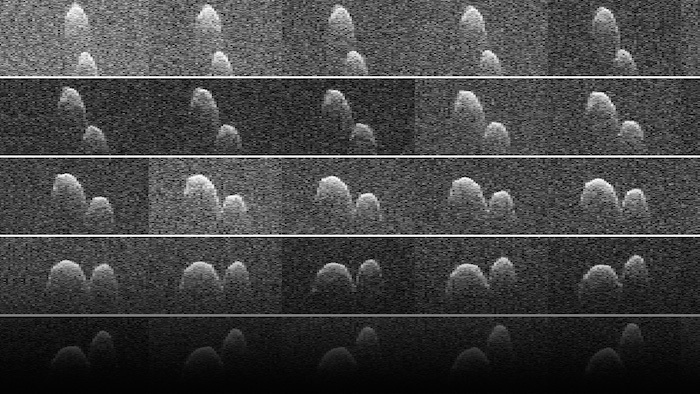 Radar is a powerful technique for studying an asteroid's size, shape, rotation, surface features and surface roughness, and for improving the calculation of asteroid orbits. Radar measurements of asteroid distances and velocities often enable computation of asteroid orbits much further into the future than would be possible otherwise.